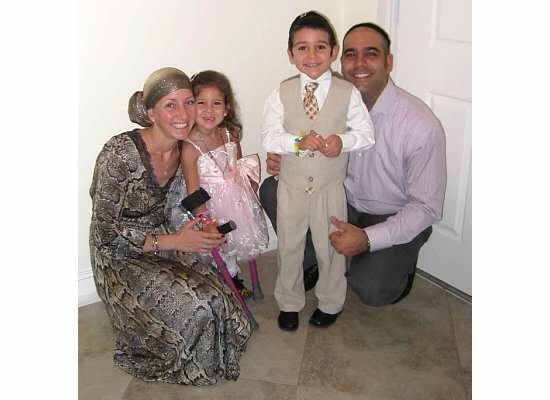 Noa Maya was diagnosed at 4 months with Neuroblastoma (cancer). Unfortunately, it was compressing her spinal cord and left her paralyzed from the chest down, no sensation or movement, neurogenic bladder (catherizations throughout the day) and neurogenic bowel (medications). 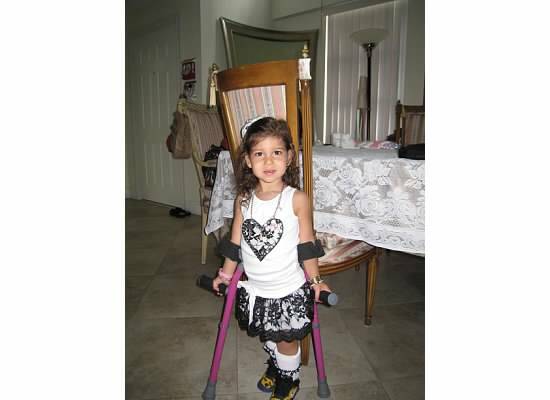 Noa has been recovering, however she has a long way to go She started off not being able to even sit, and then started to stand, walk with a walker, walk with crutches and braces, and just over Passover we saw miracles with her starting to take steps without any assistance. 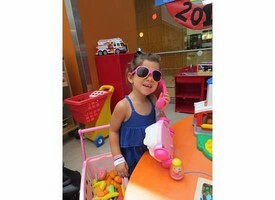 Noa receives a LOT of rehab which has all proven to help her. She gets 5 hours of physical therapy a week, 3 hours occupational therapy a week, one hour aqua therapy a week, acupuncture and yoga once a week. We also have machines at home and electrical stimulation that we do with Noa 'after hours'. In addition to all of this she has intense therapy in Maryland for 2 weeks three times a year.